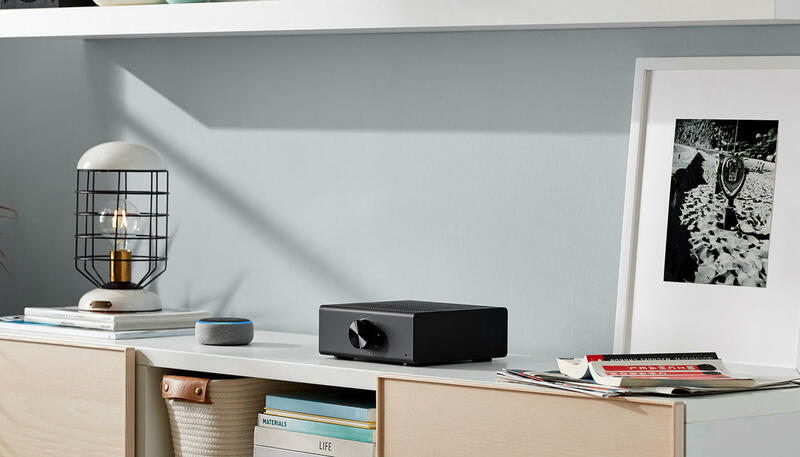 The Echo Link and Echo Link Amp are different from Amazon’s conventional Echo devices like the Echo Dot and the Echo Plus. They don’t have any microphones which basically means no you can’t tell them what to do – to play or pause your music, to check live cricket scores, so on and so forth. Which is an indirect way of saying, the Echo Link and Echo Link Amp are not as smart as the Echo Dot and the Echo Plus because they can’t directly tap into Amazon’s Alexa in the literal sense – they're not smart at all, in fact. So, what’s Amazon doing making them then, you ask? Well, the Echo Link and Echo Link Amp are not smart speakers like the Echo Dot and Echo Plus – rather, they’re designed to make your dumb speakers smarter. Sort of like the Echo Input, only, the Echo Link and Echo Link have a much wider skill set, and quite obviously, a much higher asking price – while the Echo Link has been launched in India for Rs 19,999, the Echo Link Amp will cost buyers in India Rs 29,999. While the Echo Link will start shipping from April 16, the Echo Link Amp will be available from May 3. The Echo Link and Echo Link Amp mark Amazon’s foray into India’s home audio space – in quite the true sense. Both the devices essentially serve as stereo amplifiers and have multiple audio in and out options (digital/analogue), designed to act as a connecting link between your existing ‘smart’ Echo device and third-party audio gear (CD player/amplified turntable/MP3 player/speaker/headphone). You can connect the Link to a receiver or an amplifier, while the Link Amp already comes with a 60-watt dual-channel amplifier built in, just in case. The launch of the Echo Link and Echo Link Amp comes just days after Amazon launched the Echo Show in India – and the fact that the Echo Link and Echo Link Amp are going on sale simultaneously in India as in the US, UK, Germany, Japan, Canada, Australia, and New Zealand, seemingly highlights the country’s significance in Amazon’s global business strategy. Which isn’t surprising since India is one of the fastest growing developer bases for the company outside of the US.